In my mother's garden. That part of the front lawn is rather damp, so that's moss you see mixed up with the grass. 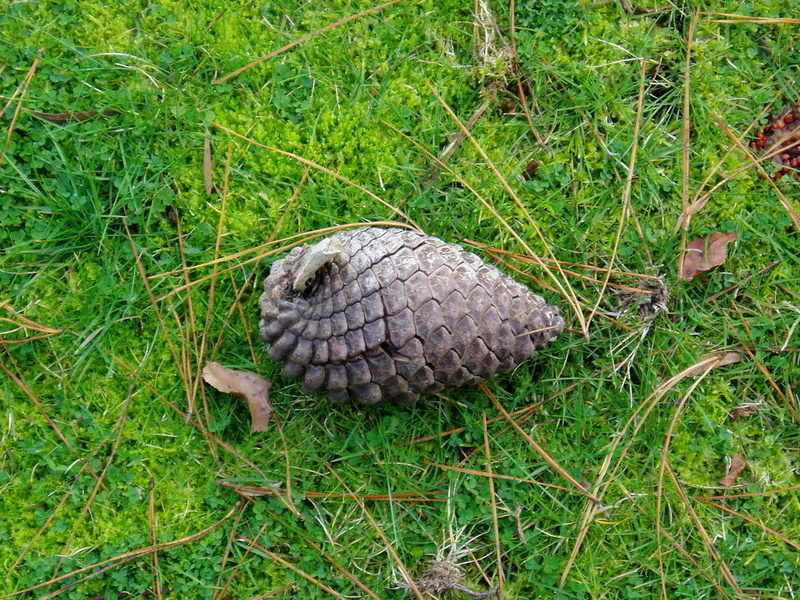 And, yes, that pine cone was just sitting there like that, all on its lonesome.